Bugaboo is a Dutch mobility brand that redefined stroller design, starting some 15 years ago and continues to do so today. On the homepage of its new global website, a series of full-screen lifestyle images immediately immerses the viewer into the world of Bugaboo. When clicking through, the website echoes the company’s core design values both in form and function. Launched in 13 languages, the website is geo-targeted, which means that it adapts to local user regions and languages, yet countries can also be selected manually. Colour schemes relate to the signature colours of the various strollers. An interactive configurator allows customers to discover the products from every angle thanks to 3D models. The strollers can be customised with added accessories and different coloured fabrics, seen in different configurations, and ordered straight from the site. 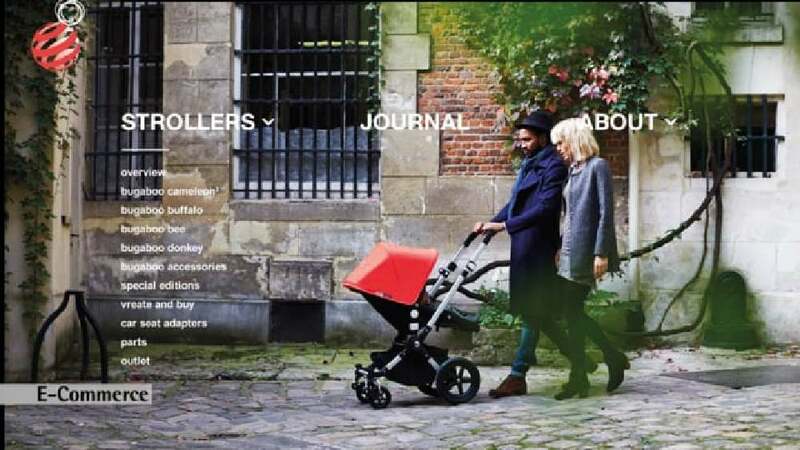 Moreover, a wide range of themes is covered under the “Journal” button, ranging from stories around Bugaboo stroller owners to leisure options. The design of this website manages to convey the essence of the Bugaboo brand in a highly appealing manner and thus reaching the exact intended target group. The configurator presents the product in various real-world applications and, together with the enticing and vivid design of the journal, turns the website into a web presence that is both highly functional and entertaining.